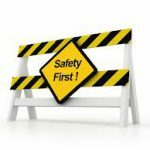 A Man was crushed by a steel fence earlier this month, and has since died as a result of the industrial accident. The man was critically injured while unloading the fence panels from a shipping container during the second week of may. He died recently as a result of his injuries. Safe Work SA is currently reviewing the incident, and investigating whether there were any breaches of the Work Health and Safety Act. SafeWork SA executive director Bryan Russel stated that the incident was a tragedy for the man, his family, and everyone else involved. “Work health and safety is a shared responsibility and we must all remain vigilant in eliminating and minimising risks,” Russell said.